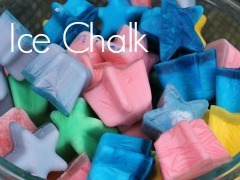 Since I first posted about our ice chalk, we've made lots of variations of it. Instead of putting each in a separate post, I thought it would be more helpful to have them all here. 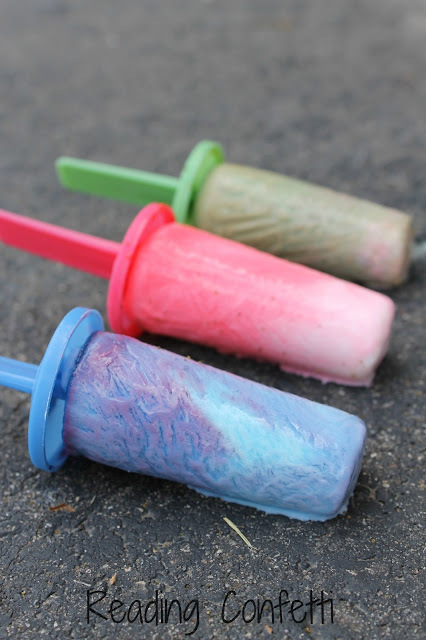 To make popsicle chalk, I substituted washable paint for the food coloring and poured it into popsicle molds. I also used flour in place of the cornstarch. 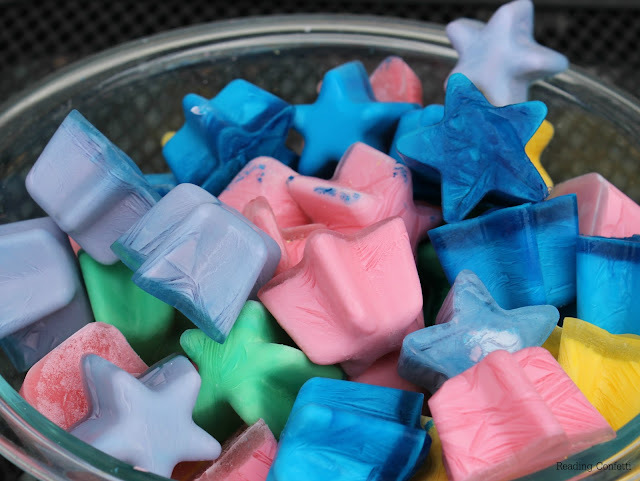 To make scented ice chalk I used unsweetened Kool-Aid instead of food coloring. I used one packet per two cups of chalk paint, but since we tend to overdo things around here, I'm sure you could get away with less. I used muffin tins for the molds. For marbled ice chalk I left out the food coloring, poured the white chalk paint into molds, and added a few drops of food coloring. I mixed it in (just a little) with a toothpick. For fizzing ice chalk, substitute baking soda for some of the cornstarch in your batch of chalk paint. 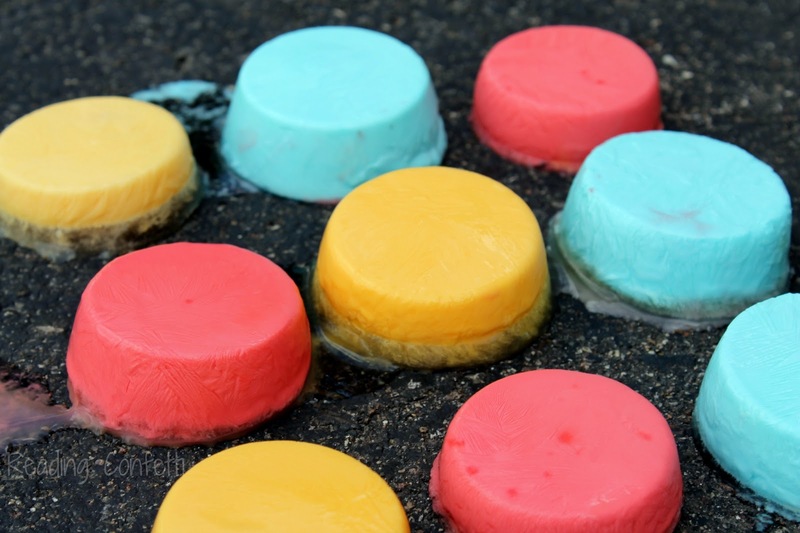 You can either use a squirt bottle to add vinegar to the ice itself, or spray it on the chalk lines and watch the bubbles. 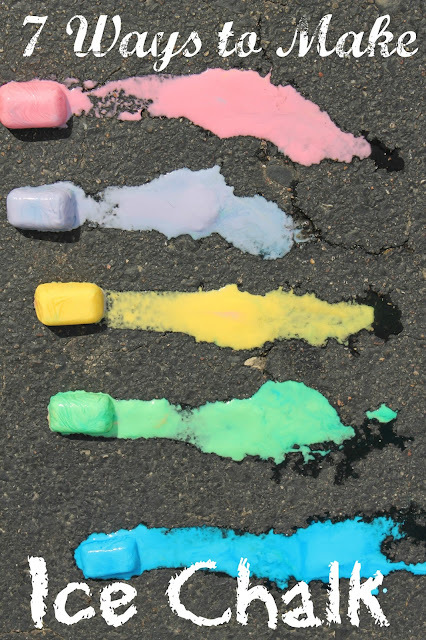 To make treasure ice chalk, choose any of these variations, and freeze small surprises for your kids to find inside the chalk. 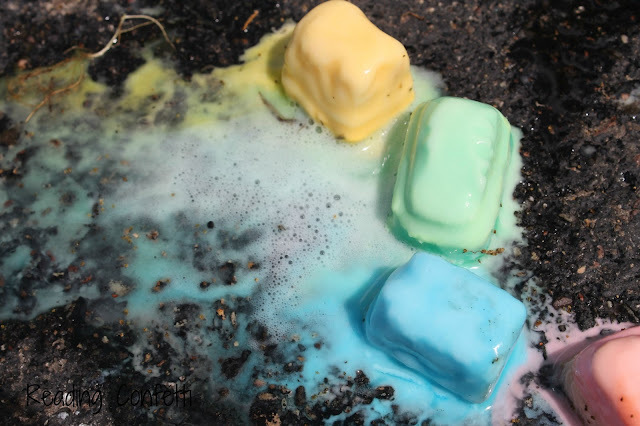 Ice chalk has become one of our summer favorites. 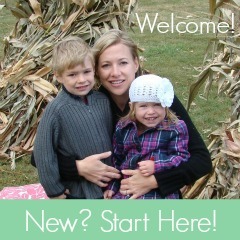 What summer activities does your family like best? OMG!! I sooo want to use this for back to school fun!! 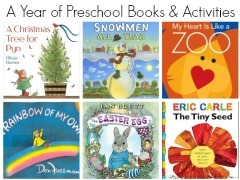 My Kinder Kiddos come back in August, so it will still be a summer fun activity!! WOW! They all look so wonderful. 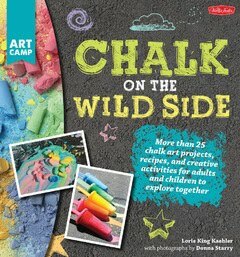 I can't wait until it warms up here so we can try them, especially the fizzing chalk! This looks so fun. 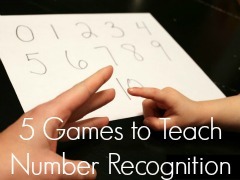 We have to try at least one before the summer is over! WOW. This looks like loads of fun in the hot summer sun! 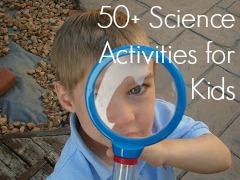 I'd love it if you'd share this at the After School Linky Party on my blog right now (and every Monday): deceptivelyeducational.blogspot.com. Thanks! 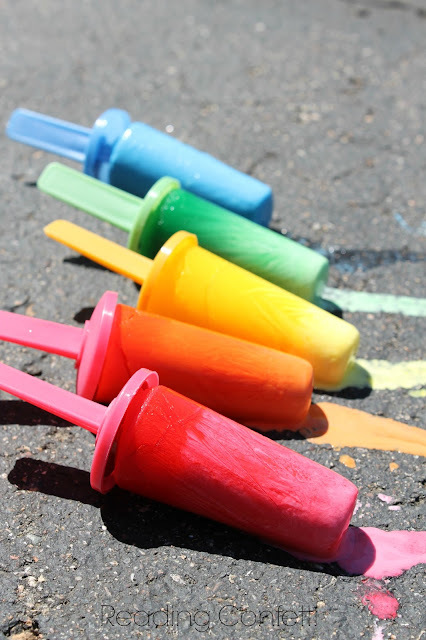 I love the Popsicle chalks... wishing it was warm here so we could have a go at this! Very cool! Thank you for sharing all those recipes. Now I just have to find some fun molds! 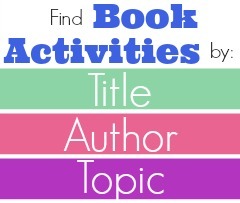 Very fun ideas! 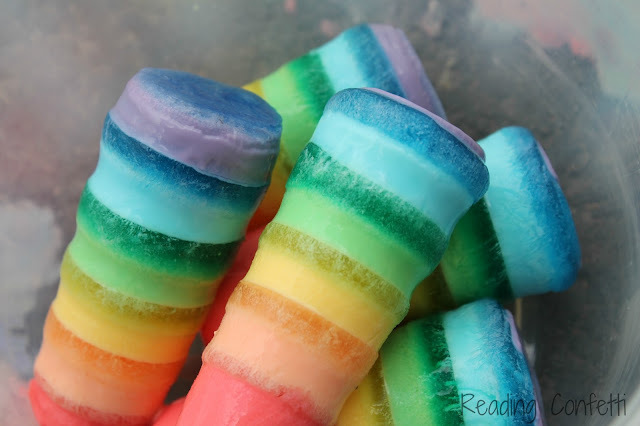 I like the popsicle, treasure, and fizzing ones and will have to try these with my kids this summer. Thanks for sharing at the After School Party. 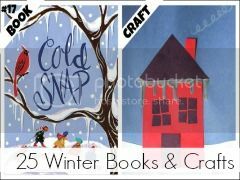 LOVE each and every one of these beautiful & fun ideas! 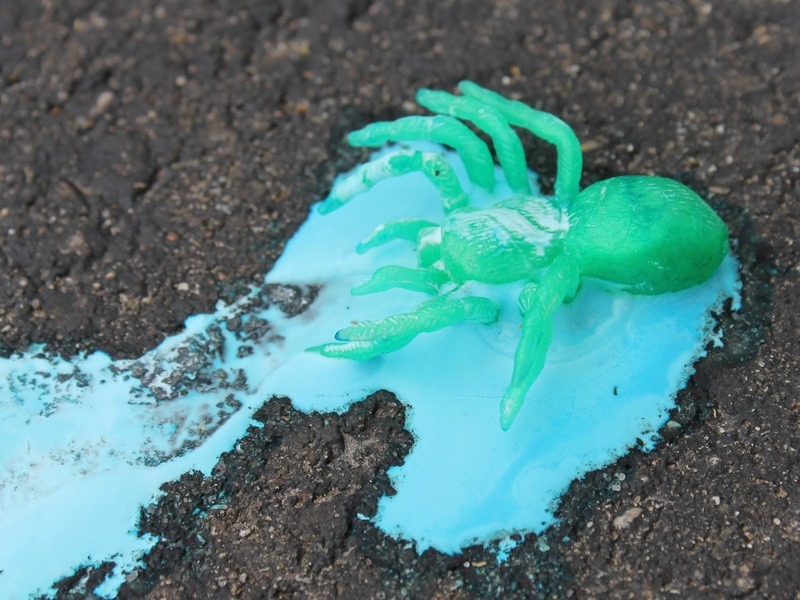 Doesn't the food coloring and kool aid stain the concrete? I would love to do this this summer but that was my husband's concern. Just wondering if anyone who has tried this can speak to whether that is the case or not. We did have a faint stain on our light colored concrete but it faded away. If you're concerned, I would use washable paint to color the ice chalk.